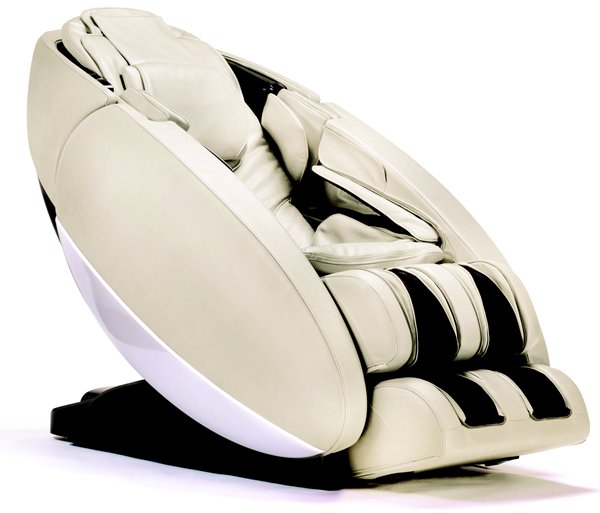 If you've been looking for a high-end massage chair, the Novo XT from Human Touch is certainly an exciting option. In this review, you will find detailed, the features, specs and everything else you could possibly want to know about the Novo XT. This way, you can confidently decide if this model is the right choice for you. One of the most notable aspects of the Novo XT is its cutting-edge design that maintains a strong performance while providing the ability to customise your sessions with great flexibility. 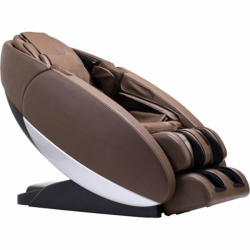 These personalised massage sessions are made possible because the Novo XT is less of a chair and more so a refined ‘pod', featuring a zero-gravity function which adjusts your body into the optimal position for your session. Perhaps a deal breaker for some however, is the hefty price tag. 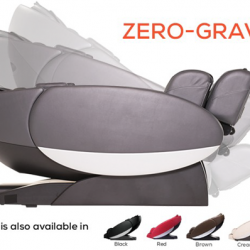 Here at Health Vibed, we understand the importance of thorough research before making a purchase of this size, and for this reason we've provided an extensive write-up of the Novo XT Zero-Gravity Massage Chair directly below! 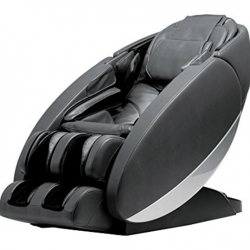 Are There Any Problems With The Human Touch Novo XT Zero-Gravity Massage Chair? 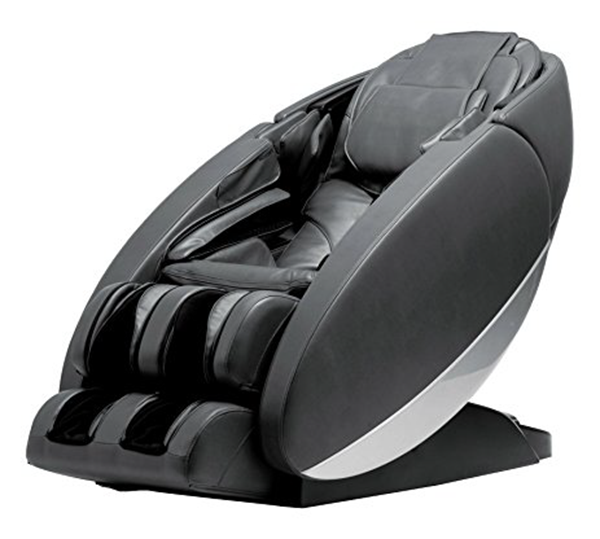 With an impressive 34 automatic programs (the highest of all massage chairs at the time of writing), the Novo XT remains effective for a wide range of massage session types. 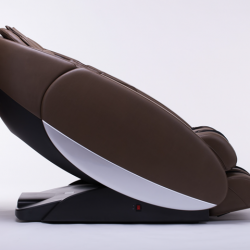 The “Stretch” program in particular, allows for full-body immersion and an extended reach that many other massage chairs simply cannot compare with. Taking another first amongst massage chairs, the innovative Unibody L-Track incorporates a 3D roller system into its state-of-the-art design. With four separate rollers that allow for a 1-5 range of depth selection (3D!! ), ultimate control over the intensity of a session is provided. Additionally, with 60% more L-Track coverage, your goals of recovery and rejuvenation can be much more easily fulfilled. Even without mentioning the simultaneously operating foot and calf system, the Novo XT is absolutely geared for outstanding performance. The Zero-Gravity feature is an addition to the chair's features which increases the feeling of comfort and relaxation during your massage. A neutral body posture makes the massage feel more natural, like that of which you might experience at a chiropractor or professional masseuse – which is one of the reasons why the Novo XT is officially endorsed by the World Federation of Chiropractic (WFC). With what are essentially inflatable bags of air, the chair's Cloud Touch Acupressure feature allows the chair to more accurately target key pressure points, by stimulating the body's blood circulation to provide for a better all round massage. This is an important feature as most people do not work out their lower back nearly as much as other parts of the body, which then often leads to stiffness and discomfort. Lumber Heating pumps warm air around the lower back, releasing tension in the muscles and allowing the rollers to reach and restore areas surrounded by deep tissue. Like the rest of this model from Human Touch, the controllers menu is well-designed, focusing on clarity with its intuitive colour scheme and display of current settings when in operation. The remote also includes voice response which is available in four different languages: English, Vietnamese, Chinese, Japanese. As an additional feature to the Novo XT, built in Bluetooth speakers and a USB port make the massage experience that much better. At the time of writing, the Novo XT has 13 reviews on Amazon.com with 12 five-star ratings(92%) and a single one-star rating (8%). From this feedback, the general consensus can be seen as extremely positive. Most commonly, its extensive features were mentioned to be very powerful. By digging deep into the body with the choice of an intense massage, many users found it loosened them up and helped in their recovery from day-to-day fatigue. Furthermore, the Novo XT is said to be excellent at reducing pain throughout the body, with many customers praising its foot and calf roller system. 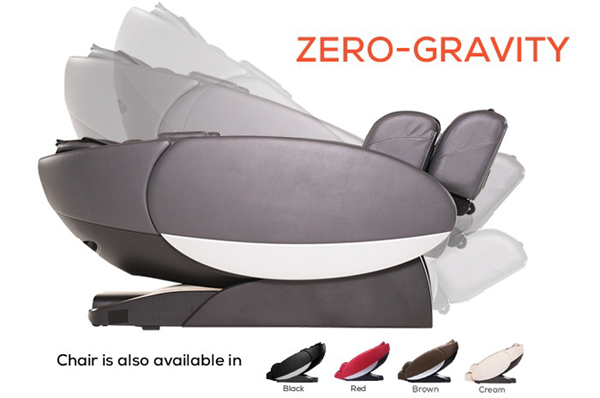 For users seeking a massage for deep relaxation purposes, the Novo XT's Zero-Gravity position is also noted to be very comfortable. The single one-star review describes a knee injury that apparently occurred while trialling the product at Costco, most likely due to the intensity of the massage provided by the XT. While this is possible, it has been refuted by other verified reviewers (other people who have bought the product) as not an issue with the product itself. Nevertheless, Health Vibed recommends all users follow the safety instructions listed in the manual (this should go without saying, but it's still worth mentioning). 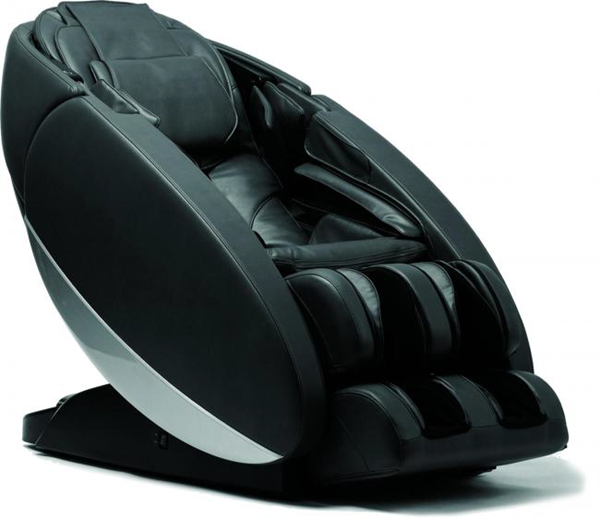 As for the most pressing issue regarding the Novo XT (that of price), one reviewer commented that this chair could be regarded as the “Rolls Royce” of all massage chairs. Others expressed similar sentiments, and overall agreed that the Novo XT is well worth the price. As with all products, if you look hard enough, faults can be found. While minimal, issues with the Novo XT have been found by some users. 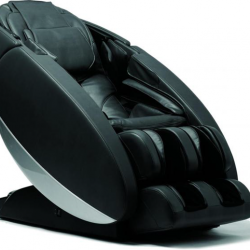 The product specs list the maximum height that this massage chair is effective for to be 6'9 (202.5cm). However, even at 6'2, some users have had the chair stretch to full capacity. With multiple reports of this problem, the Novo XT can be concluded to not be the best fit for taller users, even though the specs suggest that there shouldn't be an issue. There are also reports that the Novo XT is somewhat noisy, although this is not excessive enough to take away from the overall massage experience. The Bluetooth system's sound quality has also been deemed to be fairly poor by some users, although this is an issue that's fairly easy to work around (you can use any sound system you desire, as long as you're not relying on the chair's built in setup). For many, the above issues aren't big enough to even worth mentioning. These problems seem to be far outweighed by the many positive features of the XT and for most users pose a minor inconvenience at most. When purchasing massage chairs online, prices shouldn't fluctuate too much between sites so check that what's listed is reasonable. If it's too good to be true, then it probably is. This model is manufactured in China. How many airbags does the Novo XT have? 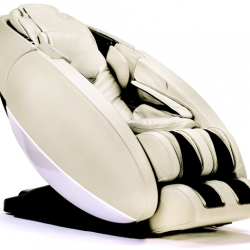 There are a total of 36 airbags incorporated into the Cloud Touch Acupressure system. They are strategically placed in necessary intervals to cover the entire body, excluding the neck. Considering the weight, should the Novo XT be supported in some way? If you are worried about damaging the flooring, a mat or rug can be placed under the model. Just make sure that the massage chair remains in a safe and stable position. What size should a protective mat or rug be? To ensure a safe and stable position for the massage chair in all modes of activity, the minimum size should be 62 x 35 inches. Do I need to personally install and setup this chair? If you purchase the Novo XT from Amazon.com then certain sellers will offer what is known as “White Box Delivery”. This includes the chair being installed and setup ready-to-go for you. For the Novo XT in particular this may be helpful considering the weight of the chair. On the other hand, the Novo XT is delivered fully assembled so you might not need this extra. It really depends on your circumstances. How much space is needed for the Novo XT? One of the defining characteristics of the Novo XT's innovative design is in its ability to save space. It can be positioned just 2 inches from a wall to safely transition between upright and reclined positions. For the actual chair size, it measures 71 X 31 X 38 in a reclined state. This is also mentioned in the product specs located further up on this page. What customisation options are available to me? The remote allows you to easily set and adjust the intensity, width, focus, roller speed, kneading speed, underfoot speed, height, stretch direction, and massage duration. Does the 5 year warranty cover in-home as well? The manufacturer's website states that the premium warranty covers 5 years for structural, 3 years for parts and 1 year for in-home service. Check with the seller to see if they cover extra or have other options available. How long should I run this massage chair for? The automatic programs range from anywhere between 10-30 minutes. It is recommended to not exceed 30 minutes. Can I use the Novo XT if I'm shorter than 5'0 (150cm)? 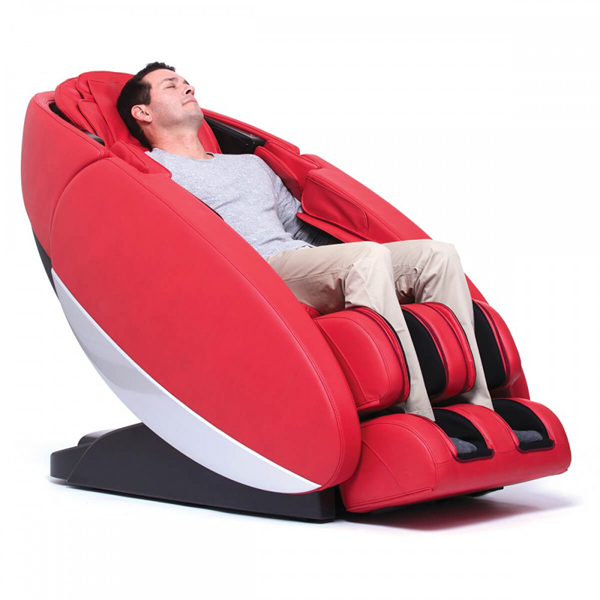 While some taller users have experienced problems using this massage chair, there are no reports of lessened functionality for shorter users. However, it is still best to try this model out for yourself. See if you can find it in store at a close location. What is the maximum weight limit for the Novo XT? Maximum capacity for the Novo XT occurs at 300lbs (136kg). Is the manual height adjusting problematic? No, it is simple to adjust and just as easy for multiple people to use when compared to any chair with automatic body detection. Does the Novo XT provide heating for the feet and calves? No, the Novo XT has Lumbar Heat which provides heating for the lower back. Do I have to constantly adjust the massage settings to find my optimal experience? 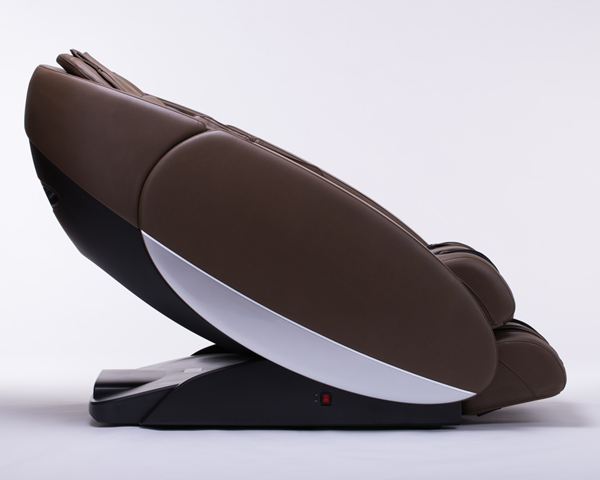 The Novo XT provides 34 preset, automatic massage programs that cover a wide range of different massage experiences. Of course, if you don't wish to select one of these then many functions can be adjusted to suit your need. Can the Novo XT be used as a regular chair? Yes, but as it is designed for massaging, it may not be as comfortable as a regular chair. Conclusion – Is The Human Touch Novo XT Worth Buying? Make no mistake, as far as massage chairs go, the Novo XT is a top-of-the-line model and this is certainly reflected by the chair's excellent and diverse feature list. What you get here is a chair that stands at the pinnacle of modern design, incorporating premium features such as Zero-Gravity and a 3D L-track system into an aesthetically pleasing framework. To top it off, little ‘extras' like the Bluetooth system are included to enhance the entire massage experience. At the end of the day, you get what you pay for, and this is even more so the case when it comes to high price items like the massage chair. While relatively pricey, the Novo XT is a highly effective massage chair that can do wonders to maintain your health and wellbeing. What more could you ask for?